Want to improve safety at your workplace? Looking to reduce employee compensation costs? Need to reduce your number of OSHA claims? If so, you’re in luck. Briotix Health has the solution you have been looking for. For nearly every employer, your employees are your most valued and important asset. Keeping them safe while on the job is critical for your employee’s health and your company’s bottom line. Injuries cost employers. Briotix Health has a depth of experience in delivering consistent processes for onsite injury prevention that minimize the risk to your employees and maximizes employee productivity.  What Does a Workplace Injury Prevention Program Consist Of? Early Symptom Intervention: A service emphasizing early detection of discomfort and physical strain. Tactics are personalized to each employee and focus on job coaching. Industrial Athlete Coaching: A service designed to prevent the progression of physical issues and erosion in productivity. This is accomplished through group bio-mechanical intervention support with physical conditioning, and manual material handling best practice coaching. Job Hazard Analysis – A service that provides a forensic quality assessment of job demands and safety hazards. 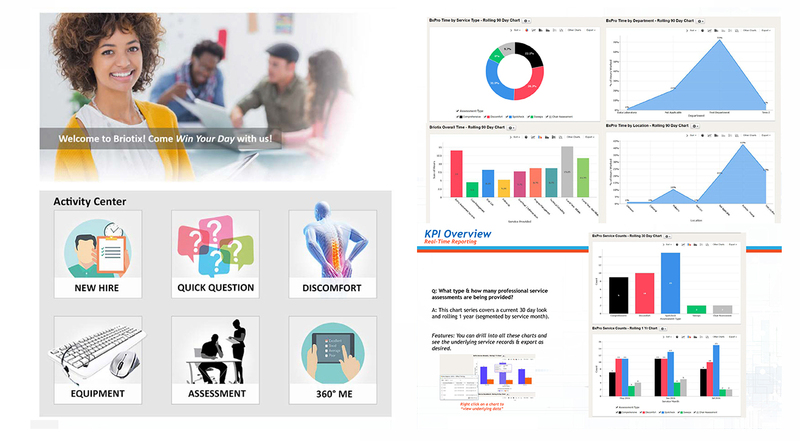 Team Training – This dynamic educational training engages team members and consists of industry best practices with one-on-one follow-up provided by world-class injury prevention specialists. Return-to-Work Job Coaching – A service designed to incorporate specific work function treatment into rehabilitation to ensure functional restoration is baked into the process and delivers optimal results. Employees are engaged at the point of risk or injury to uncover behavioral habits that may impair recovery or drive occupational injuries in the first place. Comprehensive Documentation Collection – A service that ensures consistent and accurate documentation of each case to comply with federal and state regulations. Accurate documentation also ensures companies are prepared should a claim be adjudicated. 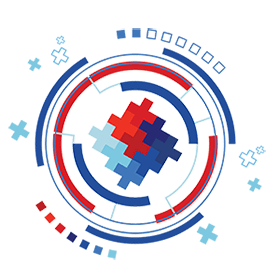 Real-Time Data Analysis – A service designed for the optimum return on investment utilizing real-time data with Briotix.Works to ensure your specific program objectives are met. At Briotix Health, our client portfolio in injury prevention is both broad and deep, consistently demonstrating the ability of our solutions to transform the economics of maintaining and restoring worker health and driving results, thereby containing workers’ compensation costs and optimizing productivity. Based on an internal field study, when the Briotix Health solution is rolled out in a company, 94% of injuries treated with an early intervention do not turn into a claim. Employees in jeopardy of suffering expensive musculoskeletal injuries often experience minor symptoms, which if left unchecked, can progress into expensive lost-time claims and reduced productivity. Employees with unsafe habits are at greater risk of injury. Also, employees with unsafe working conditions are at increased risk of injury. Service results must be constantly monitored to ensure optimum return on investment. Briotix Health delivers real-time data with Briotix.Works to deliver on your investment. Let us help you determine the best solutions for improving your employees’ health and reducing injuries. Briotix.Works delivers actionable intelligence to ensure results meet your specifications.